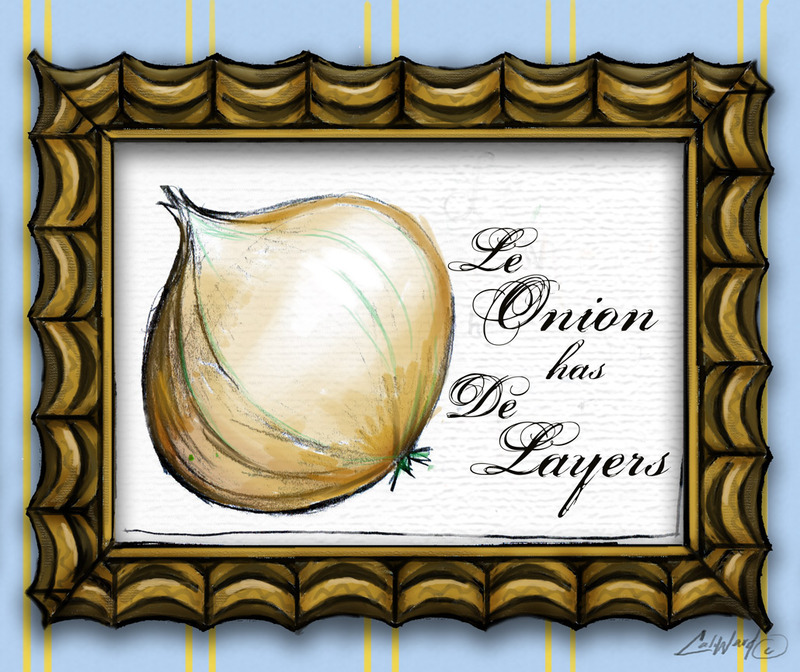 Illustration Friday - Layers Le~ Onion has De~ Layers!!! I don't know what that means or if it even makes sense, but it sounded nice. Multiple layers with some texture. I love onions... Raw on sandwiches, cooked on burgers, and caramelized over anything! good take on Layers, yummy onions on a burger! that sounds good!